Solar EV: the first-ever promotion to bundle a solar roof with an electric vehicle by a coalition of municipal governments in Colorado during the last four months of 2015 was a huge success. 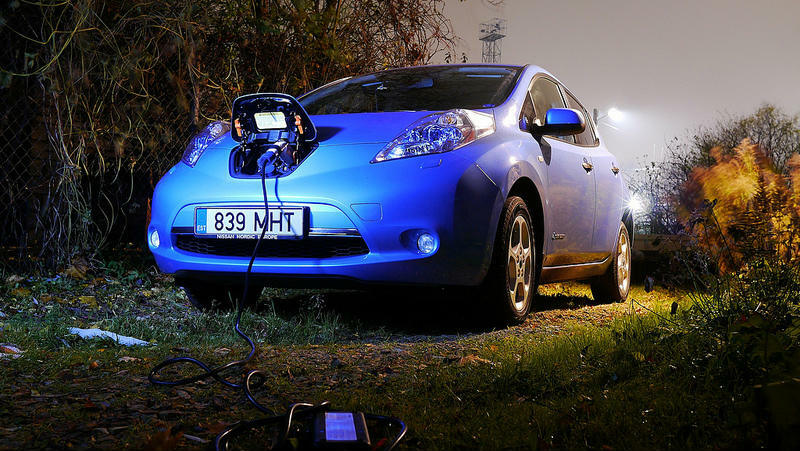 The program resulted in a sharp rise in EV purchases as more people were alerted to the powerful carbon-cutting synergistic relationship created by marrying rooftop solar to an EV in the garage. The Southwest Energy Efficiency Project (SWEEP) provided support. As well as the 248 EVs, 147 solar rooftops were installed through the bulk purchase plan. The EV discounts were far greater than the solar ones. “It was such a good deal-almost too good to be true,” said Evan Freirich of Boulder, who calculated his discount was even more. An EV with an MSRP of $31,800 a 2015 base model Nissan LEAF, cost him just $11,000, when he added the two years of free charging. His calculation combined the $12,500 in federal and state tax credits plus the $8,350 bulk buying discount of the SWEEP program to bring the cost down to $13,000. Then subtracting the $1,000 value of the free charging for two years and the reduced maintenance costs of $1,000 to arrive at his estimate resulting in two thirds off full price. What is more astonishing about the success of this discount bundled solar+EV program is that few of these participants had ever considered buying an EV before it. Of 330 participants surveyed, only 28% had previously been planning to buy an EV, and not necessarily making that purchase any time soon. 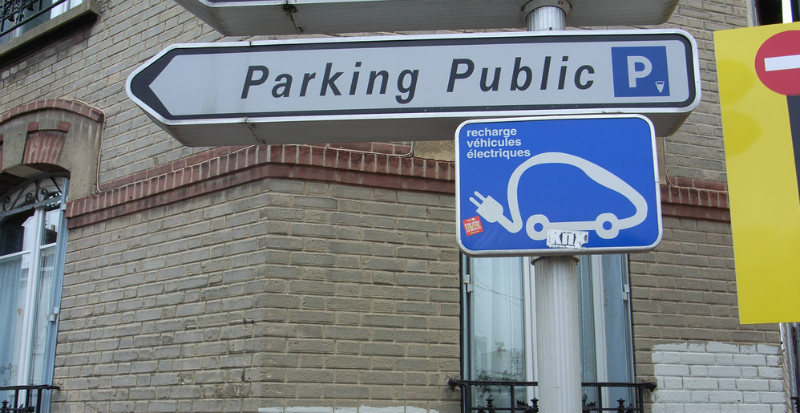 Unsurprisingly, survey results indicated that participants were motivated by cost and environmental concerns and liked the idea of emissions-free transportation. But the key was the discount. “With deals like that, the fence sitters hopped off the fence and bought a new EV,” said Toor. The innovative bundled discount program was jointly developed by Boulder and Adams Counties and the City and County of Denver. A competitive bid process was negotiated with solar companies and car manufacturers and dealers. Anyone in Colorado could take advantage of the program. The marketing was unusual, in that it took the form of employee emails, and blogs and other methods as well as more traditional press releases, leading to local news stories. Vote Solar was contracted by the municipalities to set up a web-based portal for people to sign up for either or both of the EV and PV discount. The vendors then contacted participants via email and phone to make the sale. Together with the Colorado Energy Office, SWEEP has now released a how-to guide and case study, so that other cities and counties nationwide can reproduce the success of this imaginative incentive plan, initiated by a coalition of Denver metro local governments led by Boulder County. The program is a very cost-effective incentive that any municipality could offer, according to Cabell Hodge, policy advisor at the Colorado Energy Office (CEO). The program’s success foretells what may happen in the next decade as the prices for EVs – unsubsidized – drop to below those of the average-priced gasoline car. 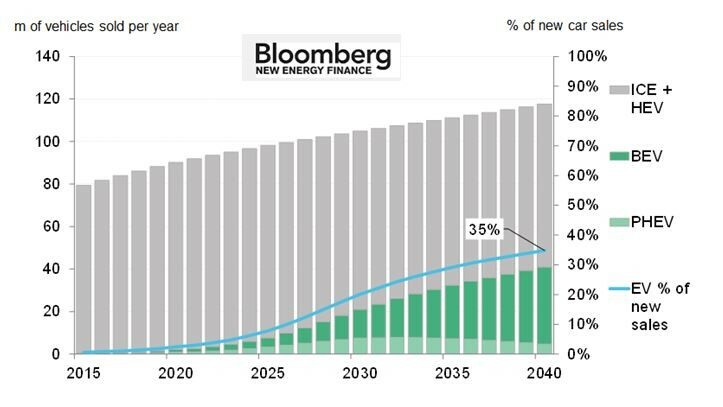 A recent BNEF forecast predicts that by around 2025, lifetime EV prices actually offer the cheaper option than the current default vehicle: the gas guzzler in your garage that fires up by burning fossil fuel. What will bring the 2025 ownership cost down to below that of oil-fired vehicles – even if oil prices stay this low – is the quite rapid reductions in battery prices. The implications of massive electrification of transport are staggering. As much as 11% of current global demand would need to be added – ideally in the form of clean energy. IRENA has estimated that we need to double renewable energy by 2030 to forestall climate disaster. Their estimate is that we would need to be a 36% renewably powered civilization by 2030. That is double what we have now. Certainly good news for solar and other renewables. But the Abu Dhabi-based International Renewable Energy Agency (IRENA) report published this month doesn’t account for switching away from our current default option for transport; burning oil – running our cars on clean solar power and wind. What would that take – how much extra clean eenrgy would we need to add in order to go EV? “This projected change between now and 2040 will have implications beyond the car market. The research estimates that the growth of EVs will mean they represent a quarter of the cars on the road by that date, displacing 13 million barrels per day of crude oil but using 2,700 TWh of electricity. This would be equivalent to 11% of global electricity demand in 2015,” according to the BNEF estimate. So we need to add enough clean energy to forestall climate change – doubling the amount, AND to switch from combustion-powered transport to clean-energy powered electric vehicles, AND must replace 11% of current global energy to do so! That is a lot of clean energy to be added to the grid! Adding the equivalent of 11% of today’s energy use, and again, using only renewables, will also mean more jobs. Not only jobs in developing clean energy, but jobs developing clean vehicles. The cost of just the climate aspect alone? Of course, those ‘cost’ dollars don’t just go to Mars, do they. The ‘cost’ of adding new energy is also somebody’s pay check. Every dollar spent to create what will amount to a second industrial revolution. Every last one of those $290 billion dollars a year will go to pay somebody who will build this clean new energy-generating revolution. Doing so will be the ultimate ‘right livelihood’, too, as the Buddhists say. This vast new clean energy workforce, earning the $290 billion payroll each year, will be creating a clean energy landscape that doesn’t destroy future civilizations. When we switched from horses to horsepower, gasoline vehicles were seen as less polluting. One day, the cleanliness of electric vehicles will similarly be seen as the norm, and using smelly gasoline will be seen as a disgusting habit that we couldn’t imagine having any more, any more than we can understand the medieval habit of emptying chamber pots out the window.